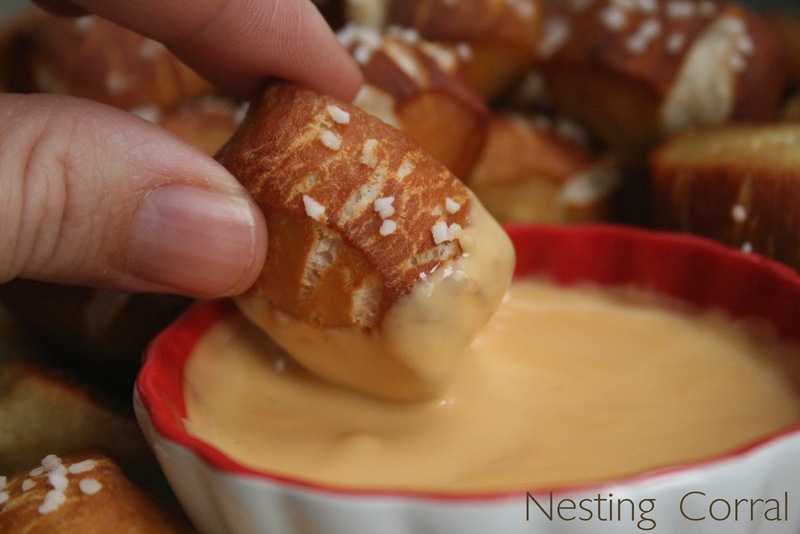 Pretzel bites have been a favorite snack in our family for the past couples years. I would just buy the frozen ones and nuke them in the microwave when needed. But the frozen ones are expensive and who really knows what they put in them. I had avoided making homemade pretzel bites because quite frankly, raised bread dough scares me. I've often struggled with it and the only two things I make bread-wise are pizza dough and 1 hour dinner rolls. 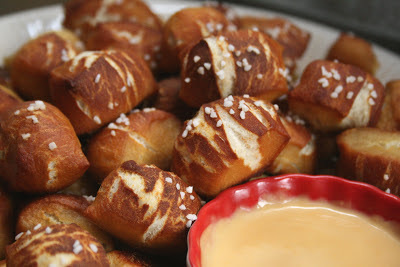 The other day I really wanted some pretzel bites but we were out of them, & so was the grocery money for the month. So I finally buckled down and tried making these babies for myself. 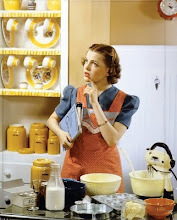 Combine water, sugar, yeast, and butter in mixer bowl. Let sit 10 minutes. 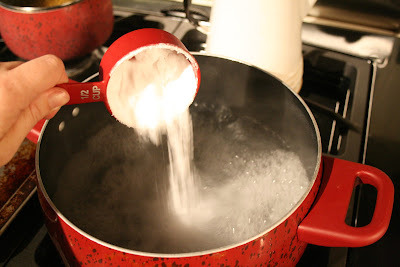 Using the dough hook, mix in the salt and flour on low speed just until combined. 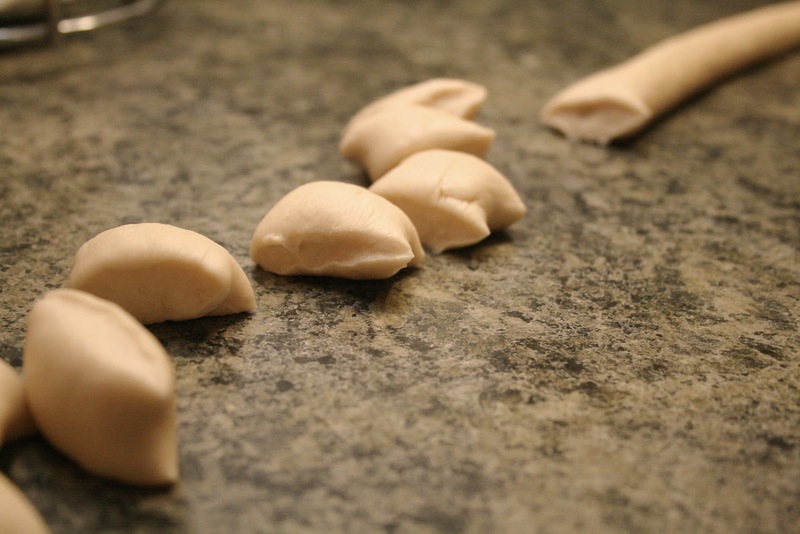 Increase speed to medium and continue mixing until dough is smooth and starts forming into a ball. Remove dough from bowl and shape into a ball using your hands. Coat a large bowl with canola/vegetable oil. 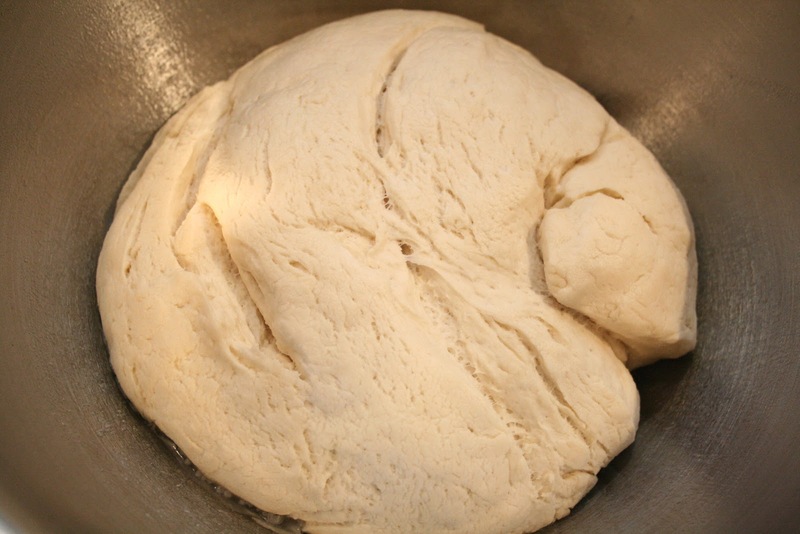 Set dough in oiled bowl, roll dough around so it is coated with oil. Cover bowl with plastic wrap and place in a warm spot until the dough doubles in size, about 1 hour. Bring water to a boil in large pot. Meanwhile divide dough into 4 equal parts. Roll each section out into long rope about an inch in diameter. 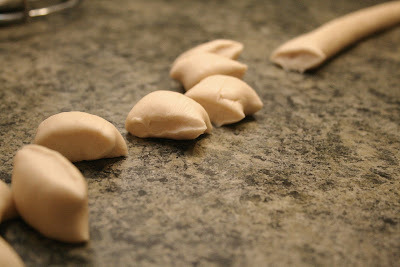 Cut dough into 1 inch pieces. You should have a bunch of these babies waiting and rearing to go. Add the baking soda to the boiling water. 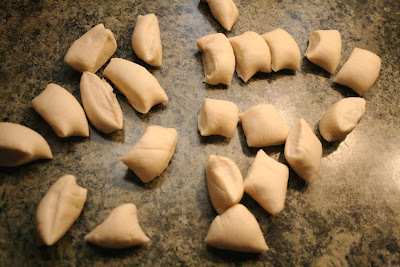 Boil a few dough pieces at a time for 30 seconds. 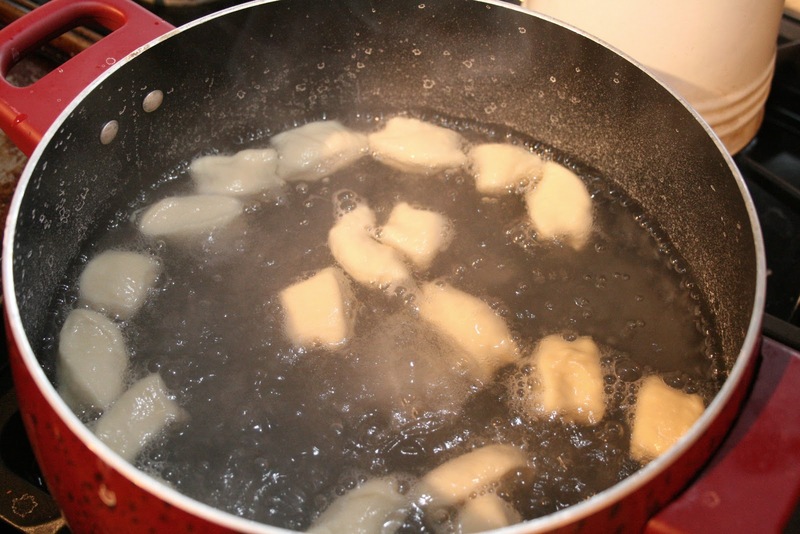 You don't want the dough pieces to touch while they're boiling so don't put too many in there at once. 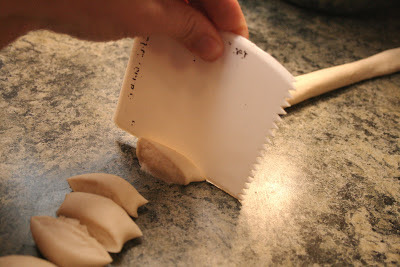 Remove pieces with a slotted spoon or spider. Transfer boiled pieces on to greased baking sheet with about 1/2 inch in between each piece. Brush the tops with beaten egg or melted butter, sprinkle each one with coarse sea salt. 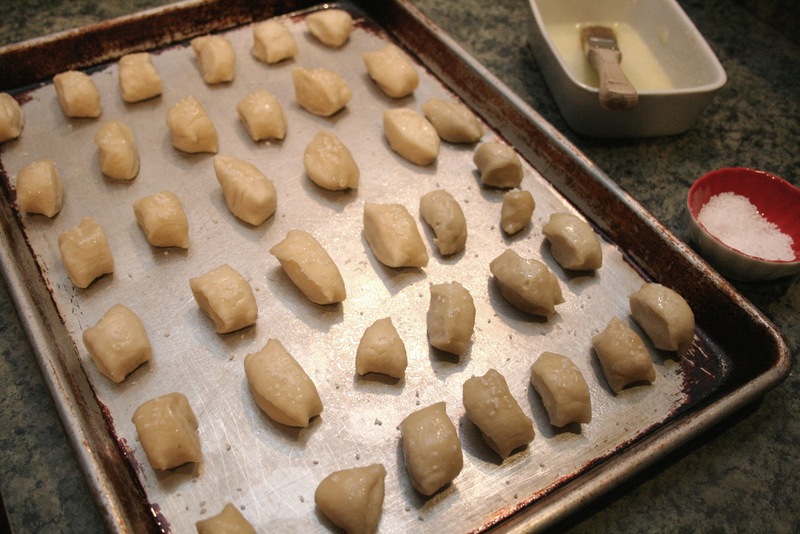 Bake for 15 minutes or until tops are dark brown. Remove and let cool a few minutes before serving with Cheese Sauce (I suggest American or cheddar cheese sauce). Enjoy!